The month of September is Library Card Sign-Up Month. 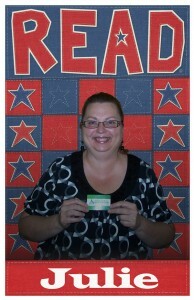 Everyone who signs up for a new library card will get their picture taken with their new card. Milford Public Library will make a customized READ poster of the new patron to display during September. Also, anyone getting a card in September will have their name entered in a drawing for a $25 gift certificate to a local restaurant of their choice. Getting a Milford Public Library card is very simple. Do you live or own property in Van Buren or East Jefferson townships? If you do, just bring in a photo ID with the address of your property on it and we will register you as a new patron. Anyone who attends or works in Wawasee School Corporation may also get a card. Please bring your school ID or proof you are staff/teacher to the adult circulation desk to register for your card. There are many benefits to having a library card. The Milford Public Library has many of the best-selling books available to borrow. There are new DVDs and CDs added to our collection every month. We have five public access computers for Internet and offer wireless service. Do you enjoy reading magazines but dislike the clutter they create? What do you do with magazines when you are finished reading them? Recycle? Stop by the library and see if we subscribe to your favorites and check them out, enjoy them for a week and bring them back! 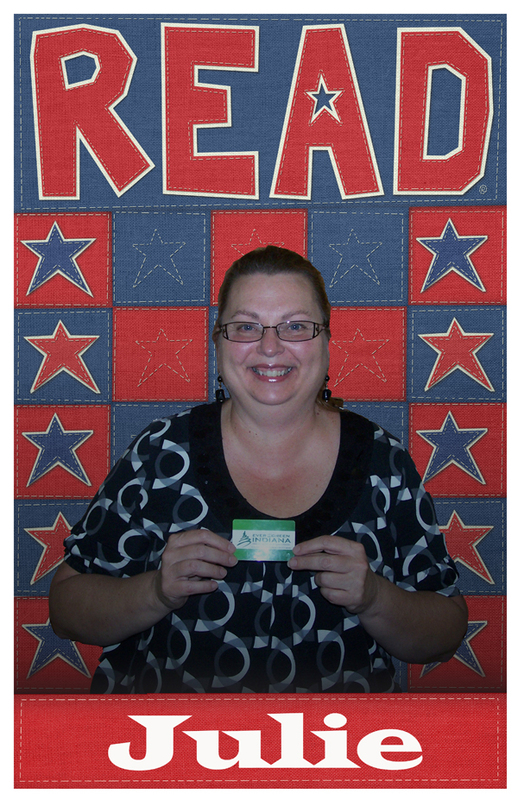 Come in and get the smartest card you can carry in your wallet: a Milford Public Library card! Preschool Story Time is quickly approaching. All children ages 3-6 are invited to join us for this entertaining and educational program, including stories, crafts and snacks. Miss Tina and Miss Julie are counting down the days until Story Time begins! They have lots of great stories to share, crafts to make and games to play. Themes include: Colors of Fall, Whoooo likes Story Time?, Leaves and Apples and more. Preschool Story Time will be at 10:15 a.m. and 1:30 p.m. Wednesdays starting Sept. 26, and at 7 p.m. Thursday starting Sept. 27. Sign-up Today or call 574-658-4312. Have you always wanted to try your hand at knitting, but have been afraid to try? All you need to get started are two needles and a ball of your favorite color yarn! The library offers experienced knitters who can show you the basics to get started on a fun and rewarding craft. If you like to knit, or want to learn how,come join the Afternoon Knitting Club at 1:30 p.m. Sept. 21. The group meets every other Friday. Bring your supplies and join us! A public hearing on the 2013 library budget will be held at 5 p.m. Sept. 17 in the library meeting room. The regular monthly Library Board Meeting will follow the budget hearing. All library board meetings are open to the general public.